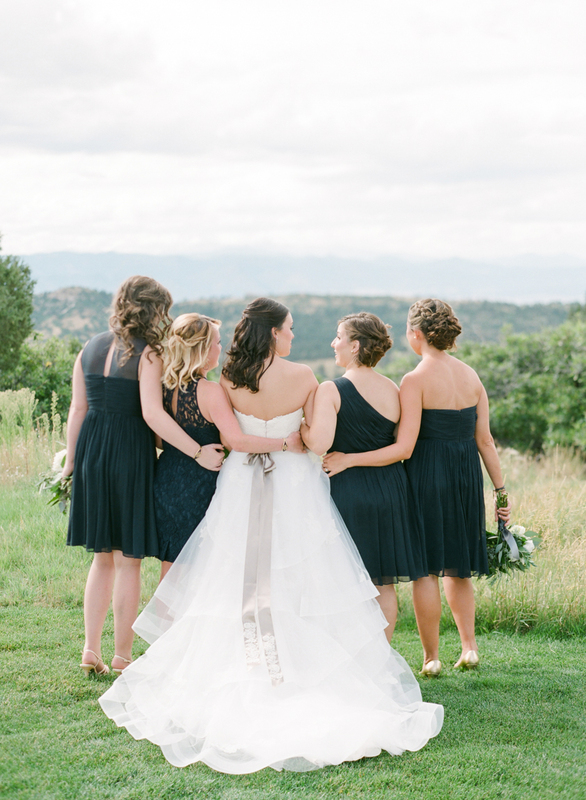 This beautiful Colorado mountain wedding truly takes your breath away! 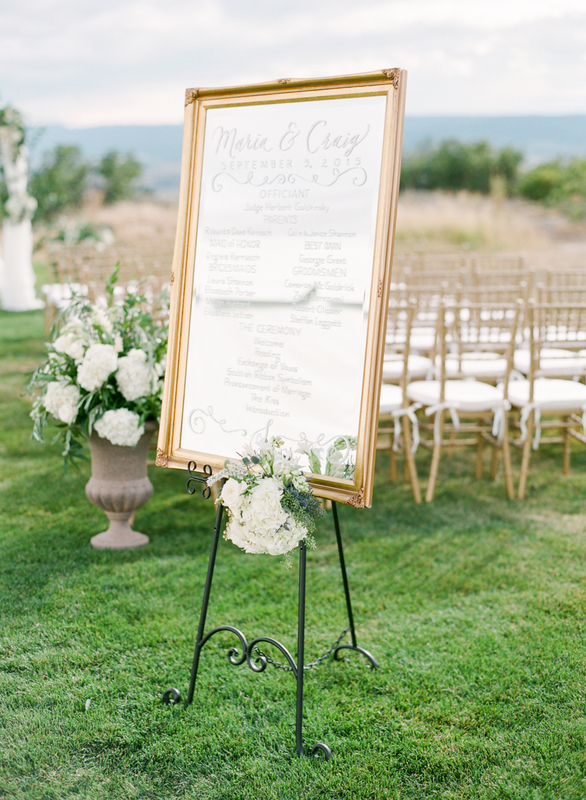 The couple wanted to show their friends and family the beauty Colorado has to offer, but also did a wonderful job incorporating the groom's heritage. 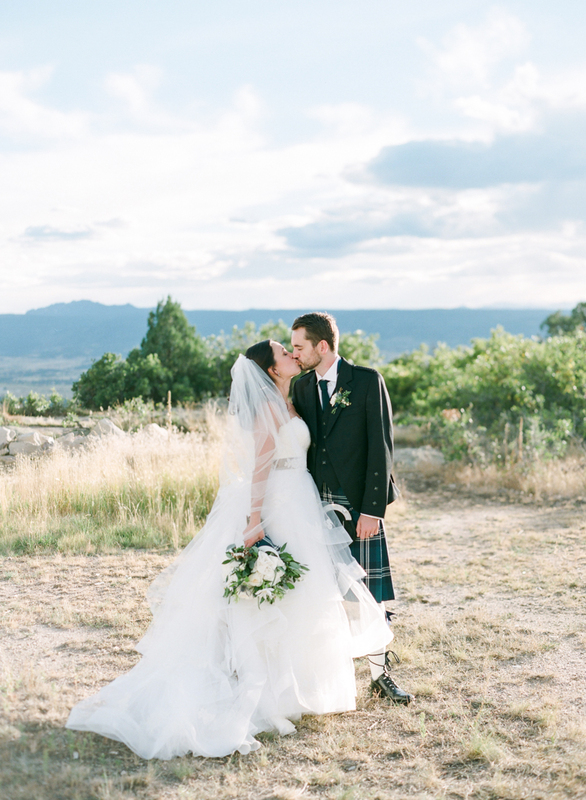 From the custom kilts, to the bagpiper, to the Scottish flower - a thistle - this wedding was filled with fun little details reflecting Scotland. And it was all completed by the jaw-dropping views from the Country Club at Castle Pines. Maria looks absolutely stunning in her Anne Barge gown, Style 612, which is classic, elegant and modern all at the same time. This ball gown with a fitted lace bodice and a fun, layered organza skirt just fits her figure perfectly. The lace appliques, which are scattered on the skirt and accent the top, and taupe ribbon sash, truly made her look unique. Congratulations to Maria and Craig! We wish them a lifetime of happiness and are thrilled that we get to share their special day. We would also like to thank their photographer Connie Whitlock for the beautiful pictures! Do you love Maria's timeless look? Don't miss our Anne Barge Trunk Show this Friday through Sunday, March 4th-6th. Anne Barge's expert stylist will be at Little White Dress with the gorgeous new collection and all the favorites from past season.